Surprisingly, one of the easiest thing to prepare in my son's birthday party was easily one of the most popular. The kids loved it; a colourful and naturally sweet concoction that's also a healthy treat. So the next time there's a party coming up, why don't you try making this too? mid-sized barbecue sticks - I wasa bit concerned about having such pointed things at the children's party but they were well-behaved while eating so it was all good. Nonetheless, if you have a solution for getting rid of the pointy ends (besides cutting them off), then I'd like to hear about it! 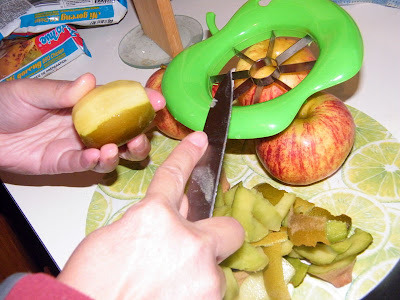 Peel the fruits (those that need peeling anyway) and cut them into bite-size pieces. Peel first the fruits which tend to go brown when exposed to air (such as the apple and bananas). 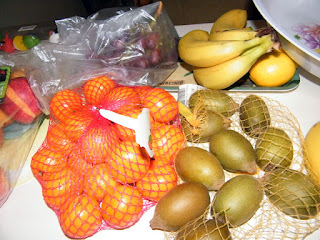 Place the fruit pieces in a bowl then pour in the juice of a lemon and mix gently. The lemon prevents the fruit pieces from browning and at the same time adds a zingy taste. 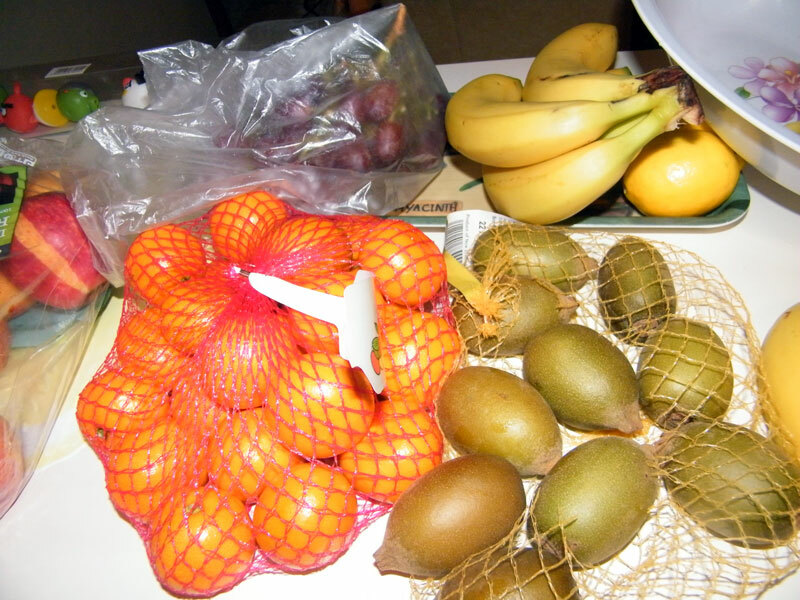 Continue peeling the rest of the fruits and add to the bowl. 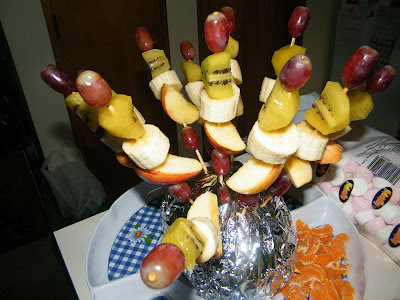 Skewer the fruit pieces, then serve. My wife took half a cabbage and stuck the kebabs onto it, along with some hotdogs and marshmallows. Amazingly, the fruit kebabs 'outsold' the hotdogs by a mile.